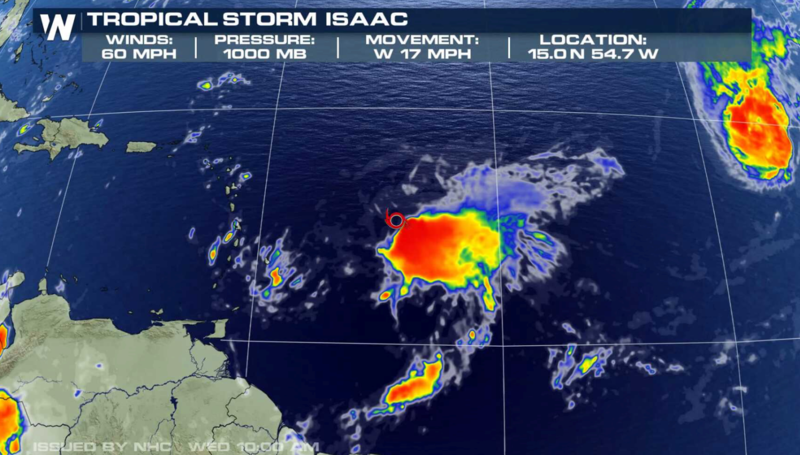 Tropical Storm Warnings have been issued in the Windward Islands with Tropical Storm Watches for the Leeward Islands as Isaac moves closer to the Lesser Antilles. 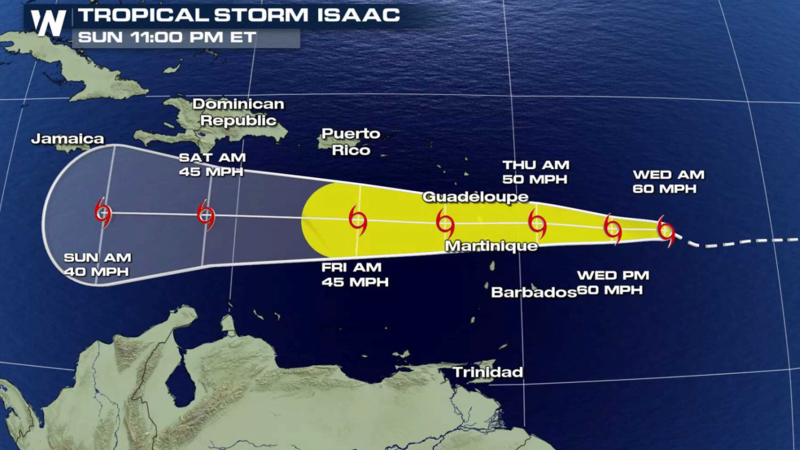 Isaac remains a tropical storm with 60 mph winds. The cyclone is located about 420 miles east of Martinique and around 455 miles east of Guadeloupe and continues to move westward. Isaac has been encountering strong upper level wind shear, which will lead to further weakening as the storm approaches the islands. 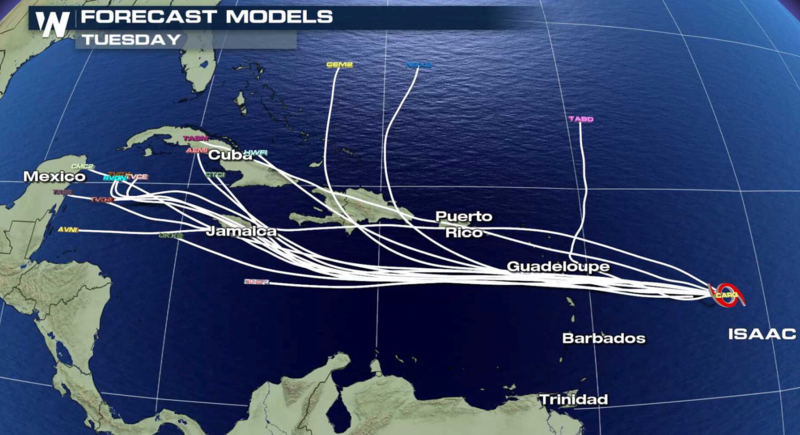 The cyclone is forecast to move across the central Lesser Antilles and into the eastern Caribbean Sea on Thursday, and then move across the eastern and central Caribbean Sea through Saturday. Along with tropical storm force winds, Isaac will produce very heavy rainfall. Total rainfall accumulations of 2 to 4 inches with isolated amounts up 8 inches will fall across Martinique, Dominica, and Guadeloupe. In Puerto Rico and the Virgin Islands, 1 to 2 inches of rain with isolated amounts to 4 inches is possible. 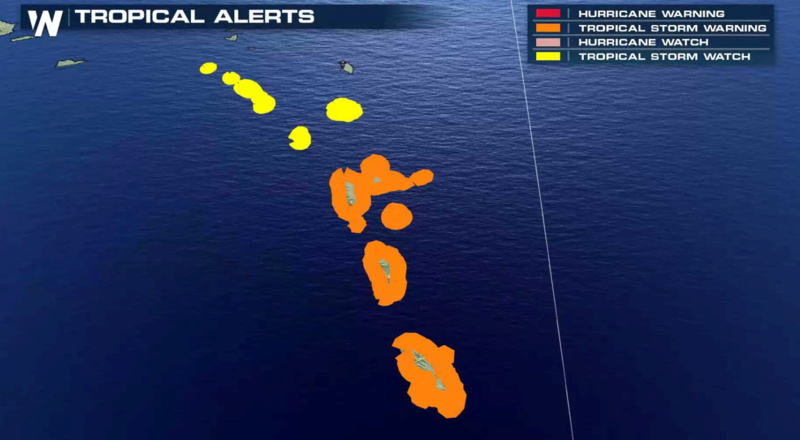 Up to an inch is anticipated across the remaining Windward and Leeward Islands. This rainfall may cause life-threatening flash flooding.